The deadline is Friday, March 8th. Registration cost is $40 for the spring season. LSA still will take registrations after the March 8th deadline, but they are subject to a $20 late fee. There are a few ways to sign up. 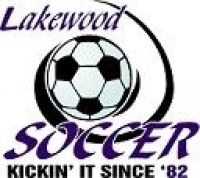 Visit the "Saturday" page of LSA's website, www.lakewood-soccer.com, and you can sign up with a credit card online. You also can print a registration form from the website and mail it to us. LSA's six-week season of games starts Saturday, April 6th. Games are played at Memorial Field in the Metro Parks on Saturday mornings at four time slots: 8:30 a.m., 9:45 a.m., 11 a.m. and noon. Schedules are posted on the website about a week before the season begins. Registration is open to players age 4-14. Nearly 500 kids of all ability levels played on 40 co-ed teams, coached by parent volunteers, during the fall season. LSA has run a recreational soccer program for more than 35 years. For those who register for the spring season, team assignments will be emailed to them during the week of March 23rd. Team practices and league-wide footskills – U05 and U06 FUNdamentals with Coach Joe Julian, and U07-U14 footskills with Coach Mirsad Curri & Coach Andrei Plop - will begin the week of April 1st. If you have questions, please visit www.lakewood-soccer.com.